I was working with one customer this week who basically wanted to find out ways of tuning their existing Hyperion Planning BSO cubes. 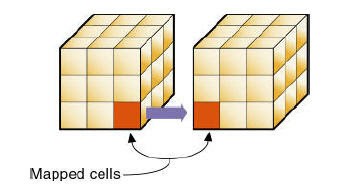 Multiple options were discussed like loading parts of the BSO cube into an ASO cube, partitioning etc. That too, since they were on the 11.1.1.0 release of EPM, it made the task even more simpler and broader in terms of the options available. One of the major advantages of the new release of Essbase is that quite a few excellent enhancements have been made with regard to partitioning. I thought it would be worth covering the various aspects of partitioning in Essbase through another series of blog entries. Today we shall see what are the partitioning techniques that are available and which options (ASO or BSO) does each partitioning technique support. Basically Essbase supports 3 types of partitions. If you have worked with Oracle OLAP and are familiar with the partition techniques available there, you would realize that partitioning of Essbase is fundamentally way too different, though it achieves the goal of providing more performance/scalability depending on the technique chosen. 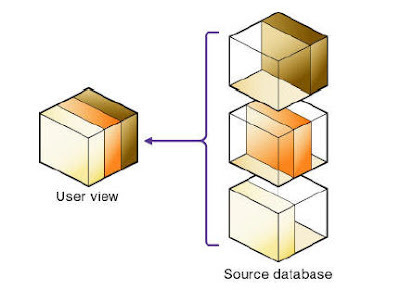 With Oracle OLAP partitioning is generally always recommended for bigger AWs, but in the case of Essbase it is not always the case. Each of the partitioning techniques above have their own pros and cons, and they need to be understood in detail before using any one of them. This is generally the most commonly used partition technique which copies a portion of the source database’s data to the target. This does not always ensure that the users are looking at the latest data as there are possibilities of the source and the target going out of sync. This partition technique supports data load only in the source. If the data is loaded in the target, that target data would be over-written after the sychronization with the source. A transparent partition target can use a replicated partition target as a source. But a replicate partition target cannot use a transparent partition target as a source. We would go into details of each of these partition techniques in future blog entries. Each of the partition technique above have certain limitations and are supported only on certain configs. This is provided below (this is for 11.1.1.0 release). As you see above, ASO is now supported as a partition target for both replicated and transparent partitions. This opens a lot of possible tuning opportunities especially in cases wherein both the complex calculation abilities of BSO and quick aggregation capabilities of ASO are required. This entry was posted on March 17, 2009 at 7:46 am	and is filed under All Posts, EPM, Hyperion Essbase. You can follow any responses to this entry through the RSS 2.0 feed. You can leave a response, or trackback from your own site. I would like to translate your articles in Chinese and reprint them on my personal blog—http://hi.baidu.com/thirdline. It is just my personal ideas. may i get you permission? The topic is quite hot on the Internet right now. What do you pay the most attention to when choosing what to write about? Great topic ! But do u know ant restriction with using partition ?